Happy Saturday friends. Hope everyone is having fun. You know what happens on Saturday’s…it’s time for a new Free Digital Paper Pack! 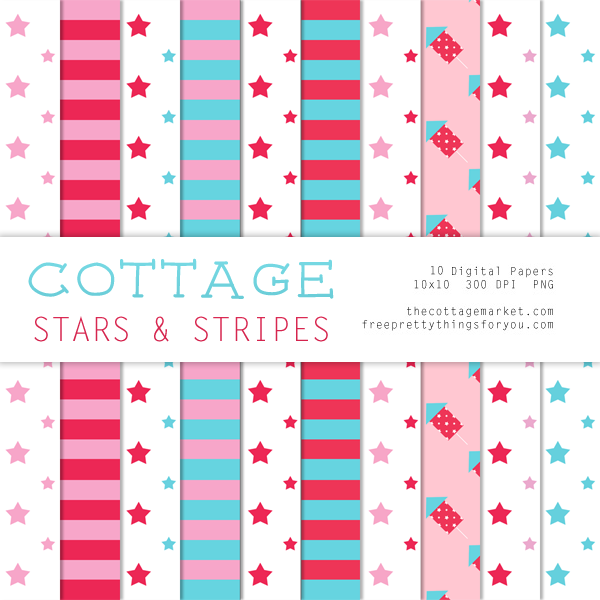 Today we are celebrating with a Free Cottage Star and Stripes Digital Paper Pack featuring PINK! White and BLUE! 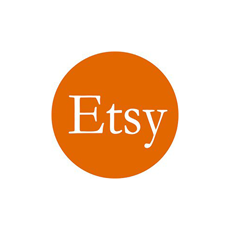 Great for all kinds of things like scrapbooking…a whole array of crafts…posters…cards…4th of July Decorations of all kinds…Memorial Day Crafts…fabulous for Labor Day…Presidents Day and all kinds of school projects…the list will never end. 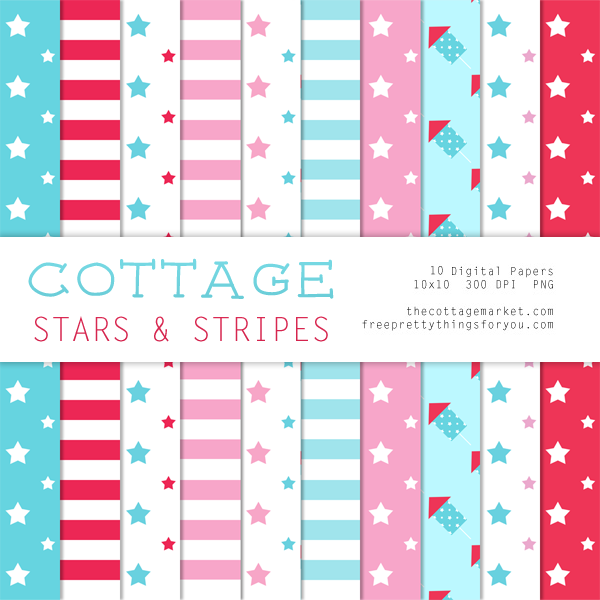 You will find the first pack over at The Cottage Market and the second part right here at FPTFY! These are tons of fun and I know you are going to enjoy them! They will add tons of pizzaz to so many of your upcoming projects. .
To download the Second Part Directly Click here! To download the First Part Hop on over to my place!